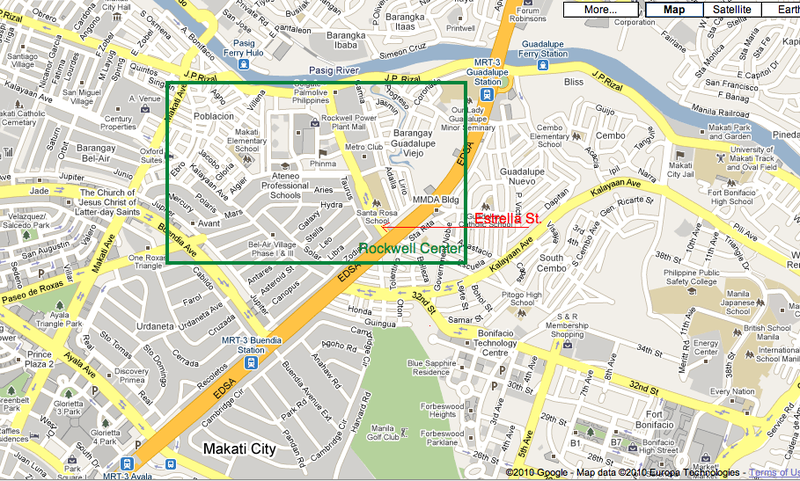 How To Get To Rockwell? Rockwell Center is an upscale land project in Makati City. Formally a thermal plant owned by its current owners, the Lopezes, the area was converted into a multi-purpose area focusing on prime features such as shopping mall, schools, and residential condominiums. The area sits on the border of Makati on one side of Pasig River. Though not as crowded and much visited yet compared to its neighbors, Ayala, The Fort, and Ortigas, Rockwell maintains a patronizing set of visitors. 1. Power Plant Mall - a four-level shopping mall that houses stores for international and local specialty brands, Rustan's supermarket, restaurants and cinemas. 2. Entertainment and dining venues such as Rockwell Tent, The Loft at Manansala, Rocky's Bar and Cafe, Le Souffle (at Fernando's), and Palm Grove. Very ideal events place for colorful bazaars, corporate events, family celebrations, and extravagant fashion and design shows. 4. Schools such as the Ateneo Professional Schools (including Ateneo Government, Law, and Business School), Colegio de Santa Rosa, Makati Elementary School, and Makati Science High School is also within the area. Option 1. Ride an LRT 1 Yellow Line bound for Taft and go down at EDSA-Taft station. Ride an MRT northbound or bus bound for Fairview/Monumento and go down at Guadalupe. You can ride a jeepney passing through Rockwell (through the routes Guadalupe-Ayala, Guadalupe-Del Pan, or Guadalupe-L.Guinto). Option 2. Ride an LRT 1 Yellow Line bound for Taft and go down at Doroteo Jose. Transfer to LRT 2 Purple Line via Recto Station and then go down at Cubao. Transfer to MRT via the Araneta-Cubao Station and go down at Guadalupe Station. You can ride a jeepney passing through Rockwell (through the routes Guadalupe-Ayala, Guadalupe-Del Pan, or Guadalupe-L.Guinto). Option 3. Ride an LRT 1 Yellow Line bound for Taft and go down at Doroteo Jose. Transfer to LRT 2 Purple Line via Recto Station and then go down at Cubao. Ride a bus bound for Baclaran, MIA, Alabang or FTI and get down at Guadalupe. You can ride a jeepney passing through Rockwell (through the routes Guadalupe-Ayala, Guadalupe-Del Pan, or Guadalupe-L.Guinto). Option 4. Ride a Pasig River Ferry and go down at Guadalupe. You can ride a jeepney passing through Rockwell (through the routes Guadalupe-Ayala, Guadalupe-Del Pan, or Guadalupe-L.Guinto). Option 1. Ride a bus bound for Baclaran, MIA, Alabang or FTI and get down at Guadalupe. You can ride a jeepney passing through Rockwell (through the routes Guadalupe-Ayala, Guadalupe-Del Pan, or Guadalupe-L.Guinto). Option 2. Ride a bus bound for Baclaran, MIA, Alabang or FTI and get down at Estrella. You can ride a service cab that goes around Rockwell via the information center at the corner of Estrella and EDSA. Option 3. Ride an MRT bound for Taft and get down at Guadalupe Station. You can ride a jeepney passing through Rockwell (through the routes Guadalupe-Ayala, Guadalupe-Del Pan, or Guadalupe-L.Guinto). Option 4. Ride a Guadalupe-Crossing jeepney from Boni Avenue, Pioneer, or Shaw Crossing and go down at Guadalupe. You can ride a jeepney passing through Rockwell (through the routes Guadalupe-Ayala, Guadalupe-Del Pan, or Guadalupe-L.Guinto). Option 1. Ride a bus bound for Fairview/Monumento and go down at Guadalupe. You can ride a jeepney passing through Rockwell (through the routes Guadalupe-Ayala, Guadalupe-Del Pan, or Guadalupe-L.Guinto). Option 2. Ride an MRT northbound and go down at Guadalupe. You can ride a jeepney passing through Rockwell (through the routes Guadalupe-Ayala, Guadalupe-Del Pan, or Guadalupe-L.Guinto). 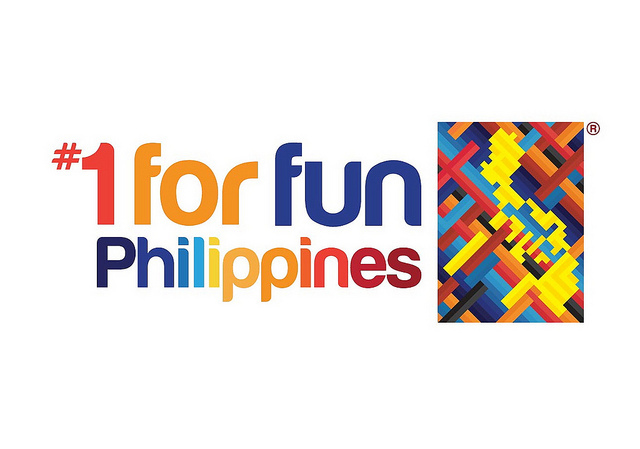 From the Taguig-Pateros area, ride a jeepney bound for Guadalupe (either from C-5 or Market! Market!) and ride a jeepney passing through Rockwell (through the routes Guadalupe-Ayala, Guadalupe-Del Pan, or Guadalupe-L.Guinto). For private vehicles, you can access Rockwell via EDSA southbound through Estrella Street. This is the first street from Guadalupe Seminary (landmark would be a footbridge). From inside Makati, one can take Kalayaan Street via Makati Avenue-P. Burgos or J.P. Rizal, both will lead to Rockwell Center. Of course, you can ride a taxicab from any point in Metro Manila and ask the driver to drop you off at "Power Plant Makati" or "Rockwell Center". Note that from EDSA, the turn should be done at Estrella Street. A lot of business establishments and offices can also be found around the area, namely: Nestle, Phinma, SC Johnson, and Colgate-Palmolive Philippines. 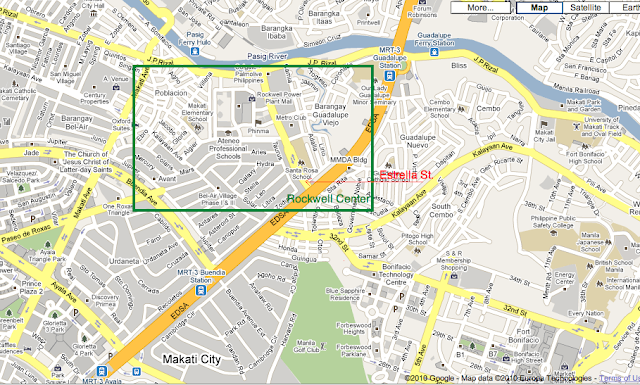 37 Responses to "How To Get To Rockwell?" I really like the concept of your posting. Its a very informative post by you. Please keep it up with your posts. I really really love this site! It has helped me save a ton of cash by commuting instead of riding cabs. Thanks a bunch! Nice post.. Can you also post the way on how to go to Rockwell in Ortigas? Very nice and useful website. I think I got route info from this site twice thru Google. from taytay rizal? pede ba ung fx from tikling to ayala? ED doesn't result in the deficiency of libido. Vascular Failure Impotence also won't make men infertile: impotent men can ejaculate normally, will not have lower sperm volume and may have children. You might make use of these resources for numerous factors like unlock personalities. GameKiller So if you are enjoying your preferred video game and you are lacking. Thank you for sharing the post! This is what I need to find. If you rate of interest in this photo of TM Menards Staff Member Website TM Menards Login you obtain Large card after that you could utilize it at menards. The company does not constrain the streaming, which is an excellent aspect since. Hulu Down You don't need to await the correct time due to the fact that the right time starts. If they erode you will have to have fillings. Also when you don't brush your teeth for a while your breath will start to smell. With your football mom shirts toothbrush you should brush all around your mouth and open it wide so you can brush the back teeth. He said the argument never got physical and denied picking up the knife."13. His vegas strong shirt reason: They had recently told him to stop masturbating in front of his open windows and front door, according to police. He was arrested on a charge of first degree arson and held in the Orient Road Jail without bail. "14.